The Cirneco dell’Etna has existed for more than 2,500 years and comes from Sicily. He’s a hunting dog that chases fowl and small mammals. He can hunt in rugged terrains such as that formed by lava from volcanoes. He can hunt when the weather is very hot and without much food or water for long time periods. The second part of his name was only added in 1939 when he was accepted by the Italian Kennel Club. He is named after Europe’s largest volcano and Etna has the highest number of these dogs. His hunting skills encompass hearing, smell and sight. 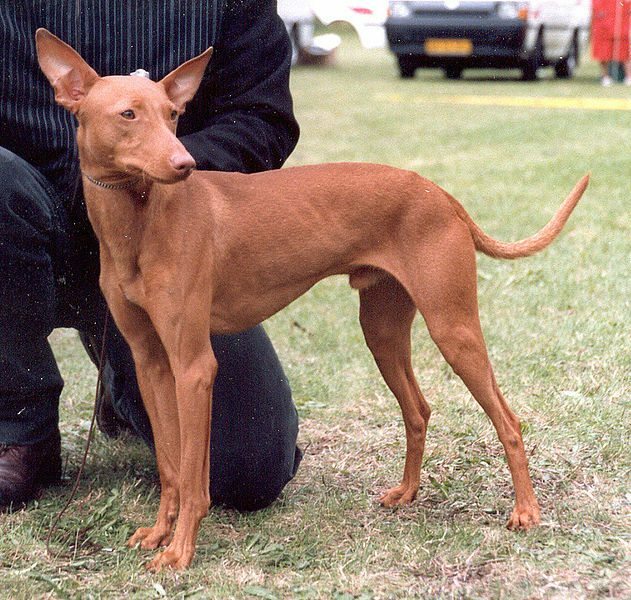 His coat colour can be light or dark shades of chestnut or tan and he may have white markings. He has the independent, strong temperament that a hunter needs but he also loves being around people and is affectionate and friendly. He needs a moderate amount of exercise and also needs to have mental stimulation because he’s highly inquisitive. His coat only needs minimal care. His height is 18 – 19.5 inches.